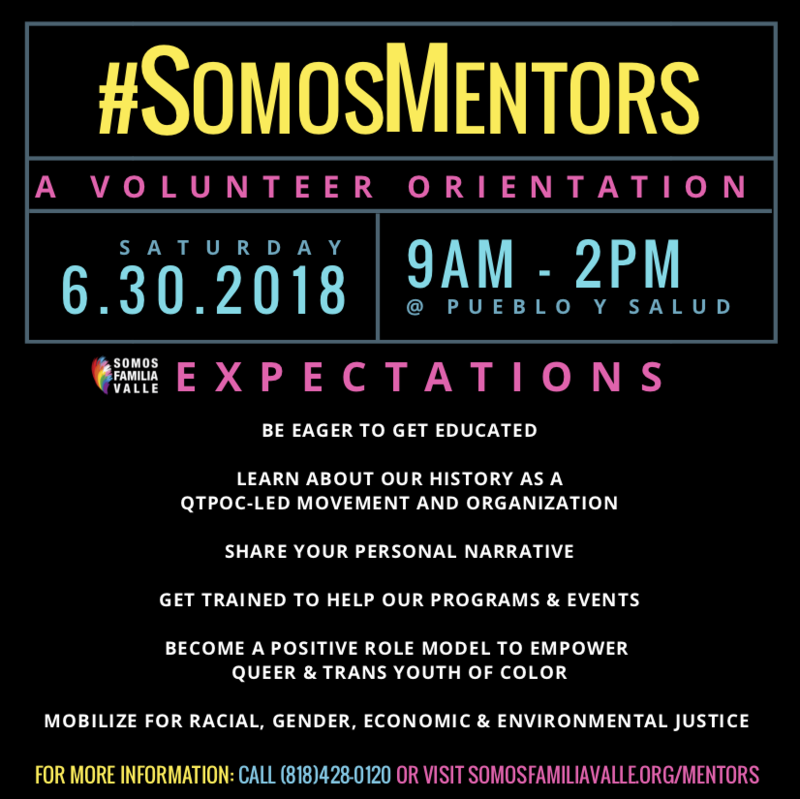 ​Have you been looking to volunteer with us? Guess what! 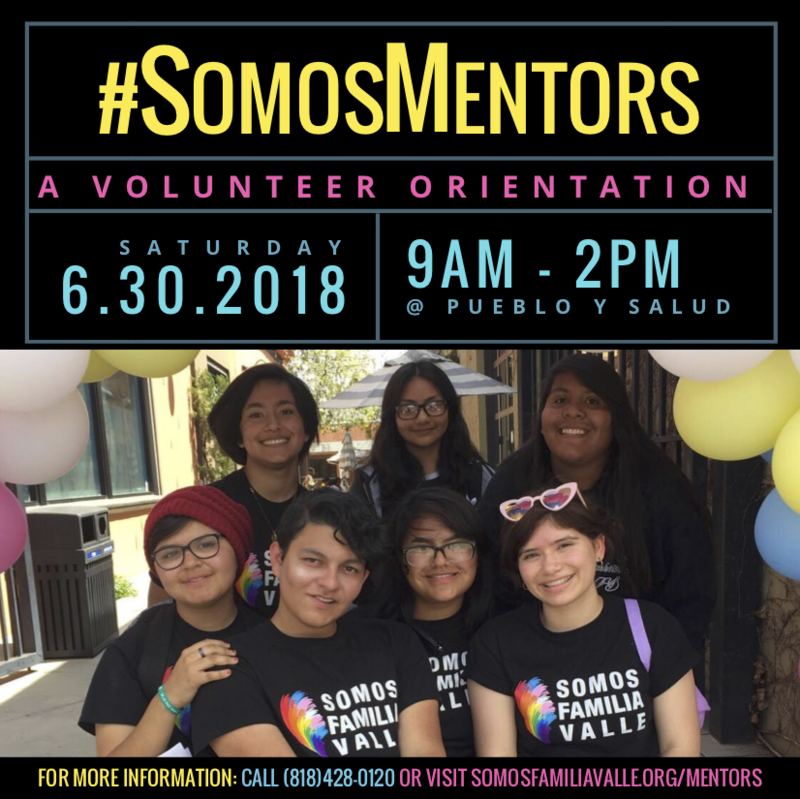 Register here if you want to be considered for our first #SomosMentors orientation of the year to be held at Pueblo y Salud on Saturday, June 30, 2018 from 9 AM to 2 PM. No late attendees will be allowed into the space. Please read all 3 images published above. 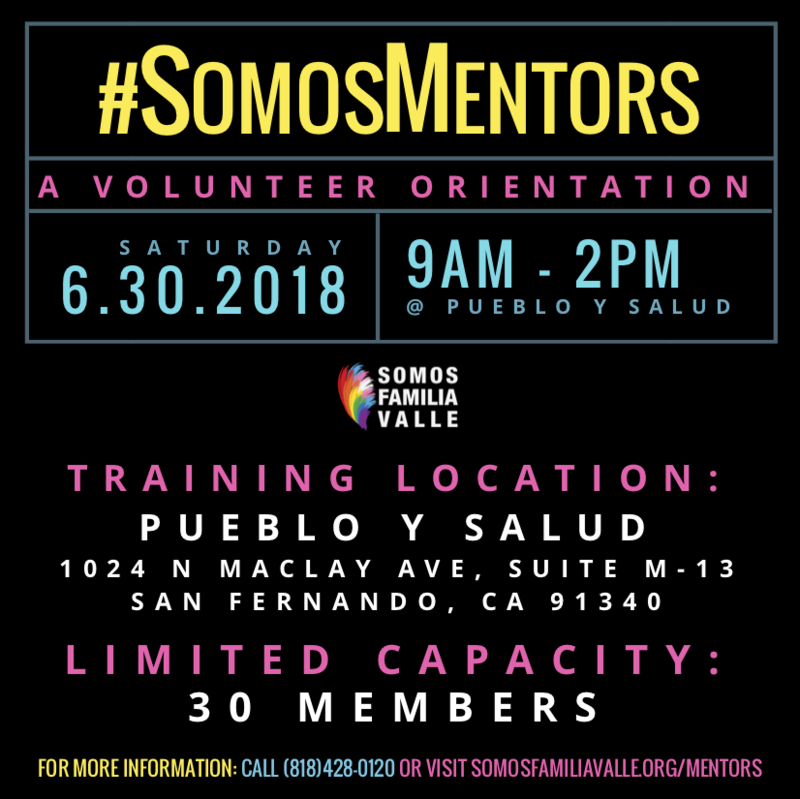 This is the official SOMOS FAMILIA VALLE orientation for San Fernando Valley volunteers. Get ready! Questions? Contact: Ronnie (818)428-0120.